Massive Wall Clock. Handmade & Hand Painted Work of Art. 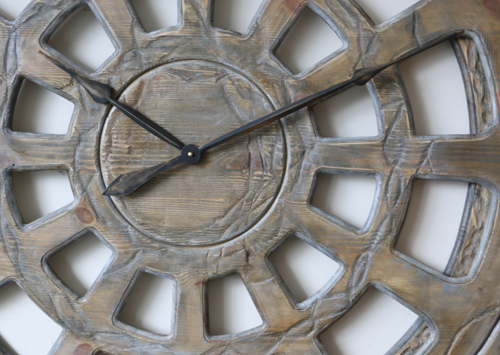 “Savannah” is a beautifully handmade massive wall clock. 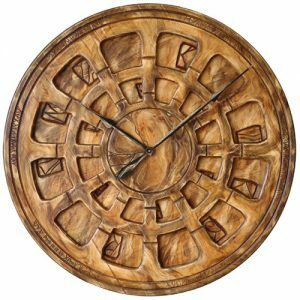 It is not just time telling device but a perfect decoration element. 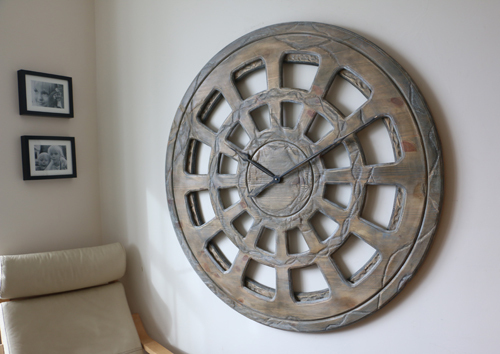 The “Savannah XL” is an extraordinary massive wall clock handmade from wood. Its subtle colour tones originate in sun kissed African grasslands. 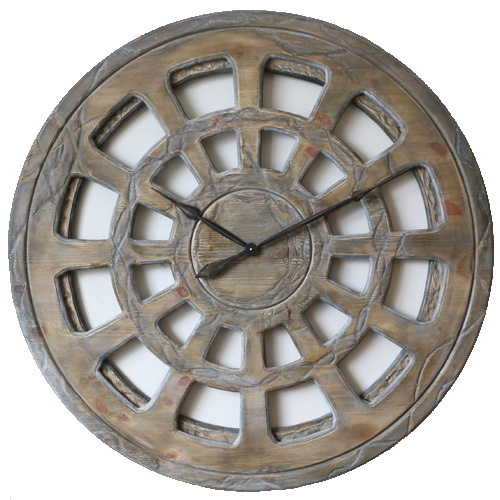 The clock face and background rim are enriched by tribal carvings and washed out wood grain patterns. 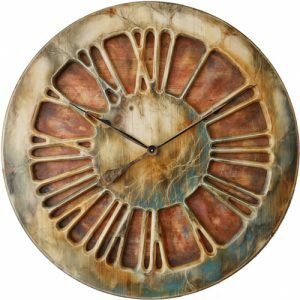 Weathered, windswept Savannah and mystery of its tribes emanate from both colour and texture of this unique art piece. 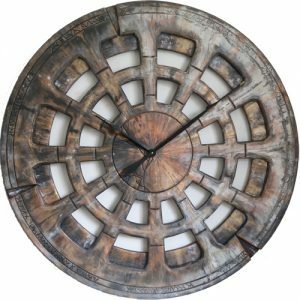 We made this extraordinary timepiece from two panels of sustainable sourced pine wood. In order to achieve the desired colour tones we used wood dyes and waxes. The mechanism powering the clock is the most powerful, C-cell battery operated quartz movement with long, metal, spade hands. 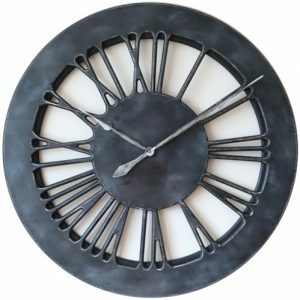 Our massive wall clock, unlike its counterparts available on the market, is of substantial structure and quality. 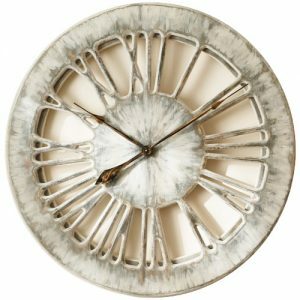 We have a large selection of skeleton clocks in various shapes and sizes. Many of them are displaying traditional Roman Numerals but you can also find some really unique designs too. 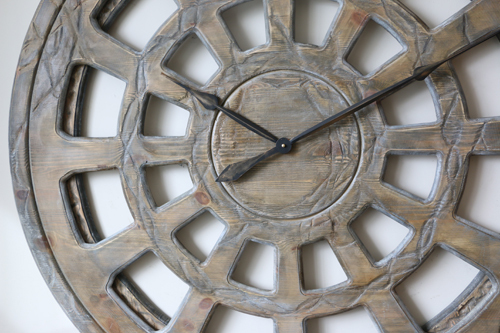 The great advantage of the clocks with skeleton design is their ability to fit many different interiors. All of those wonderful timepieces have amazing three dimensional look too. Whichever design you chose you can always see the wall through the massive wall clock face. 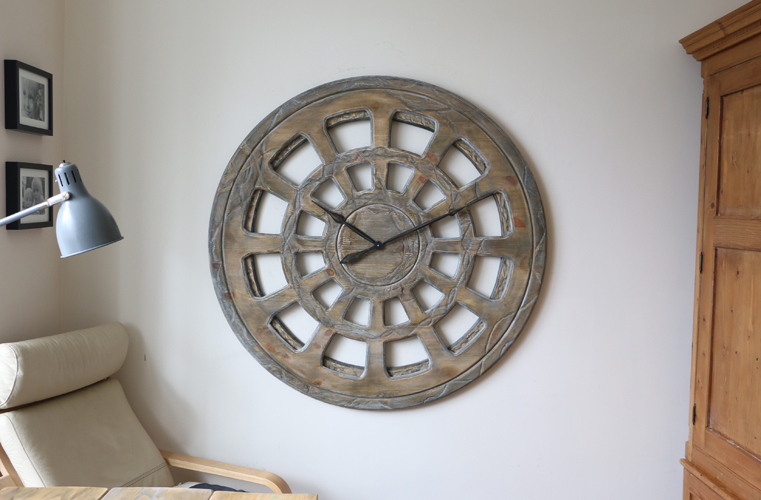 If you think that you don’t have enough available wall space for 48″ clock we can offer smaller versions. Simply select the desired size from the drop down list above. On the other hand if you prefer slightly different colour tones please get in touch. 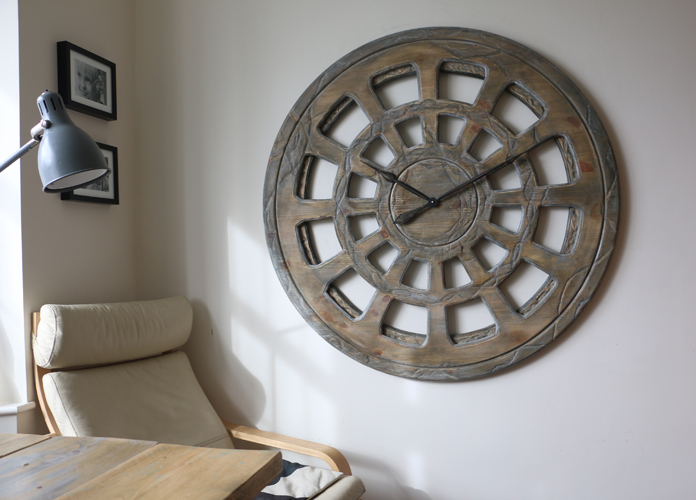 We have worked with many customers around the World designing personalised wall clocks to meet their needs. Follow us on Twitter or Facebook if you want to know the latest news and share your questions or comments with Peak Art Community.